HERE I GO AGAIN... TRYING TO MAKE AND KEEP NEW YEARS RESOLUTIONS WHEN I HAVE NOT YET STARTED ON THE ONES I MADE 2008-2009. 1. LOOSE WEIGHT-- WELL THE ONLY WAY I GAVE EVER LOST WEIGHT IS TO GET A TERRIBLE STOMACH BUG THAT LASTS FOR A MONTH... THAT WORKS. 2. IF YOU HAVE NOT TOUCHED THAT ITEM IN A YEAR -- THROW IT OUT --RIGHT ! SO THAT 2 MONTHS FROM NOW YOU CAN GO BERSERK LOOKING FOR IT. BUT AS THIS HOUSE FILLS UP, I HAVE TO DO SOMETHING.. I DID OPEN THAT TODAY- AND RAN SMACK INTO ALL THE HOTEL SIZE SOAP/SHAMPOO THAT I HAVE LIFTED FOR THE PAST 20 YEARS-- IT IS LIKE AN OLD PHOTO BOOK TO RELIVE THE NAMES ON THE SOAPS. I ALWAYS MEANT TO GET THEM INTO THE GUEST HOUSE- AND IT STILL SOUNDS LIKE A BETTER IDEA THAN THROWING THEM OUT.. SO I PUT THEM BACK..
END OF STORY-- TRY NEXT YEAR. THE WHOLE PLACE S LIKE THAT-- I MUST ADMIT I NEVER KEEP ANYTHING FOR WHICH THERE IS NO EARTHLY USE... PROBLEM IS I HAVE A GOOD IMAGINATION AND CAN FIND A USE FOR MOST EVERYTHING-- UNFORTUNATELY EVEN ... PIECES OF ROPE TOO SHORT TO USE---- BECAUSE SOMEONE WILL ASK ME TO TEACH THEM TO SPLICE ROPE-- AND I CAN GRAB FOR THAT COLLECTION..
--- AND WHAT I HAVE NOT TAKEN OFF BUREAUS DESTINED FOR THE FIREPLACE, I HAVE BOUGHT AT FLEA MARKETS. CONSEQUENTLY I ALREADY OWN 99% OF WHAT HOME DEPOT SELLS. FENDER WASHERS BEING MY FAILING-- BECAUSE WHEN YOU DRILL THE HOLE TO BIG, YOU CAN USE A FENDER WASHER TO COVER THE ERROR...LIKE THOSE LARGE ELECTRICAL OUTLET PLATES "MISTAKE PLATES" I HAVE A READY SUPPLY OF THOSE. I THOUGHT OF THAT MANY TIMES WHEN I BOUGHT THAT OLDER KABOTA-- THE TIRES WERE SO THIN I WOULD GET FLATS GOING OVER STIFF GRASS... DOZEN FLATS THE FIRST MONTH-- THE ONLY GOOD THING IS THE TRACTOR COULD LIFT ALL 4 WHEELS OFF THE GROUND BY ITSELF -- SO IT LOOKED FOOLISH PROPED UP WITH NO TIRES WHILE I HAD THEM FILLED WITH GOOP WHICH MEANS NO FLATS. LUCKILY I DID THAT WITH THE NEW TRACTOR TO BECAUSE IT IS SPORTING A SHINY NEW LARGE HEADED NAIL IN ONE TIRE ALREADY. SOUNDS WONDERFUL-- EXCEPT MANY ARE ALUMINUM... IT IS RARE... BUT I STILL FIND AN OCASIONAL ONE IN THE FLAT FIELD FROM THE DEMOLISHED WOODEN ARENA. I CAN SEE GEORGE WINCING... WE ARE STILL ARGUING HEARING WAVE LEGNTHS.. THERE IS SOMETHING THAT CAUSES A REACTION IN ARIOT--- NORMAL CONVERSATION DOES NOT. QUICKEN-- USED IT FOR YEARS IS NOW DRIVING ME NUTS--- OLD PC TO NEW MAC-- OLD QUICKEN TO NEW QUICKEN.. YESTERDAY I DISCOVERED ONE REASON THINGS JUST WERE NOT WORKING RIGHT..
BECAUSE OF SOME EXTRA MONEY IN THE FUN FUND I DECIDED TO GO WITH THE SYSTEM WHICH DOES A/C ALONG WITH HEAT... THAT WILL BE A THRILL TO THE VOLUNTEERS WHO HAVE SWELTERED THRU A FEW DAYS WHEN E ONLY RELIEF WAS TO WET EVERYTHING DOWN WITH "MISTERS" -- THAT DOES WORK A BIT ...... BUT PROPER A/C WILL BE A LUXURY. I WONDER... IF I INCREASE THE NUMBER OF BRICKS, I COULD HIRE A SPECIFIC DAYTIME PERSON TO MANAGE THE CAMERA AND BE WITH THE YOUNGEST SET OF PUPS HERE IN WHAT USED TO BE MY HOUSE ( NOW OFFICE/KENNEL/CAFETERIA/TV SET AND HOSTEL) LIKE WE HAVE THE OVERNIGHTER .. THERE ARE SOOOO MANY NEW PEOPLE ENJOYING THE DOGS... I THINK I WILL TRY THIS NEXT MONTH -- WITH EVERYONES BLESSING INCREASE THE NUMBER OF BRICKS BY 90.. IT TAKES A VILLAGE---- AND ALL THE CP'S WHO BUY BRICKS ARE A CRITICAL PART OF THAT VILLAGE. I DO LOOK THRU THE DAYS PURCHASES AND THERE ARE MANY NEW NAMES..
FOR THE NEW COMMERS-- LONG AGO IN ANOTHER VET OFFICE....----I HAD A DOG HAVE A BAD EXPERIENCE BANGING HIS HEAD COMING OUT OF ANESTHESIA IN A METAL CRATE-- BROWNIE-- NEVER RECOVERED VFROM TH E METAL NOISE A GARBAGE CAN LID WOUDL MAKE-- SO-- POOR GEORGE. (DVM) ... WHEN THEY OPERATE ON MY DOGS, THE INHERIT ME-- OR SOMEONE LIKE ME... MARIA OR MEGAN... TO SIT ON THE FLOOR IN HIS OFFICE WITH THE PATIENT UNTIL THEY CAN STAGGER-- WHEN WE RUN THEM HOME TO THE ICU SET UP. I MAY HAVE TO LEAVE HERE TODAY BECAUS E THEY ARE COMING TO INSPECT THE NEW GAS LINES SO WE CAN COVER THEM AND GET THE GENERATOR RUNNING..
CAN I CARRY A GRUDGE? YOU BET YOUR SWEET BIPPIE I CAN. CONSEQUENTLY EVERYONE HERE WANTS ME OFF TH E PROPERTY WHEN THE INSPECTORS COME FOR FEAR IT WILL BE THAT GUY..
My name is Steve Girard and I am a 100% Total and Permanent disabled Army Veteran who suffers from PTSD/TBI. To assist me with my disabilities I have a Great Dane Service Dog named "Charlie". 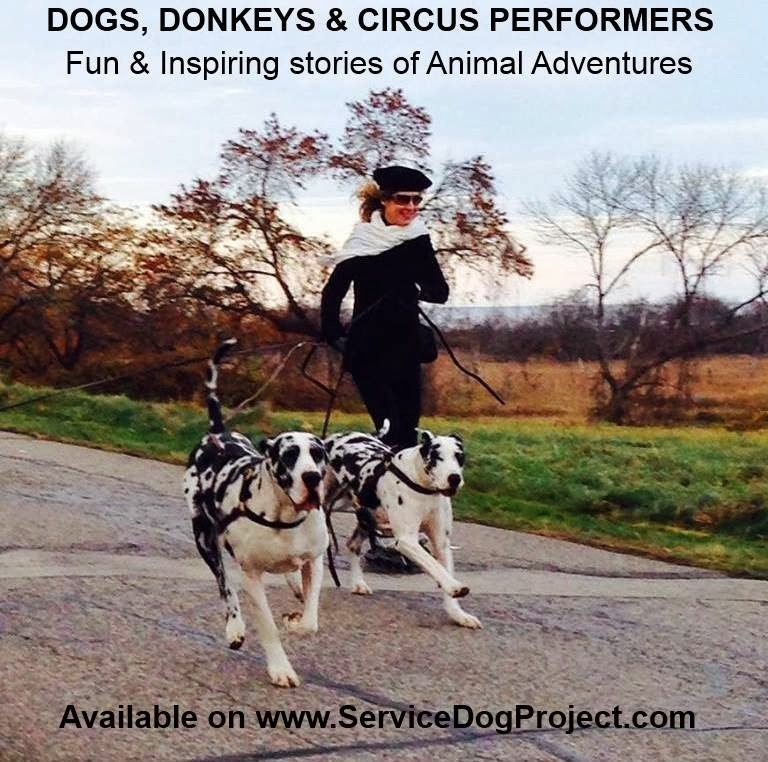 Charlie was born, raised, and trained at the Service Dog Project in Ipswich, Massachusetts. Due to my disabilities I was restricted to a cane, walker and at times a wheel chair and unable to associate with the general public. I spent long periods of time in the VA hospital learning to work with my disabilities and adapting to my new life. Once Charlie entered my life I was able to not only move more independently within my own house but in the community as well. I still suffer from night mares and the fear of closing my eyes because of what is still haunting me, Charlie licks my face to let me know he is there and lays with me to provide security and comfort as needed. good start to the day… 2 dogs over the nightime barrier---( not a very substantial one just loose fencing to encourage nightime peeing without wandering ) and this computer has decided i am not carlene-- and it will not tell me just who it thinks i am. we have had dash in the house for some lifetime experiences-- like getting bitten by bailey for getting too close to bailey's sofa-- bailey is on a bit of a tear-- she let boo have it too for upsetting her at 3am… so there was a very loud complaint by boo causing me to fly out of bed-- as best as a 76 year old flys… for fear it involved boo's ears-- happily not-- just small hole in her face..
my point being there is alot to be said for cleanliness and mommy nature..
his cure all in any ailment pertaining to my health was " if you'd loose 20 pounds you probably wouldn't have that problem" -- he would give me that response even if i complained of athlete's foot . since there was not a chance in he!! i would loose 20 pounds , he was off th e hook. so much for married life. there was a loud noise-- the kind that is made by .plate glass rupturing… person #1 was at the sink person #2 was sitting at the table. i was dealing with feeding pups.. so i asked both people to go and check the 2 glass doors onto the deck- person 1 left and was gone for a while-- cam back and said "i checked the doors and all the windows and they are fine" person 2 got up from the table and looked out the window and reported "i didn't see anything wrong." my point being that response does not contribute to solving the problem. a person with no sight at all could give that response. i am on alot of campaigns… fortunatly i forget most of them… but be prepared for the "that does not answer my question" comment. checking the tops of the stumps in the yard because th e ups guy once left pkgs there… is another detail of sdp living..
brian said there is a person i should meet who runs a farm in iowa-- it wins the yearly award for the most corn grown per acre---- it is a very efficient pig farm-- run by 3 people he equated the operation to ordering a truck part at 2pm tuesday and having it on his desk 9 am wednesday. this is sunday-- i am told-- we are down two… maria is ailing-- and so is paul-- t is going round… belly ache with added attractions. one more holiday to go and we are done for the year. why is it we eat our way thru it--- our cookie and candy table is on overflow.. and we are doing our best to reduce the collection... trouble is... it is all good. when i wake up in th emorning and aleady have my next 4 or 5 meals planned i know it iw not goin g to be a weight loose day . ----actually this angel hair i am eating looks exactly like the roundworms we got out of the pups... but you don't want to hear that-- even if it is educational. i want to add our recipients to the map dawn is doing of the people who touch base on our explore conversations. i already posted the 24 we donated in 2013-- but no i have to go to the "master list" of dogs... and that too needs updating. there is a significnt wad-- like the bucket of the tractor full- even if it is in 3 pieces-- one of those pieces is a mass of leather straps -- he bridle and the collar are no challange. bryan- the owner- just stands around and moves and talks remarkably slowly- but he thinks very quickly as #1 problem solver. my problem is - with my short term memory i sometimes forget the first part of the conversation before he gets to the end..
a self starting generator and a proper furnace in the kennel is a dream come true..
along with finding my spelling unique, i hav to listen to a friend -- ann-- who keeps telling me ..HAVE HAD..... is not necessary just HAD will do. i have had to listen to her for years. i w2ill now type all those names for this dawn person making the map of our "reach"
SO MANY THINGS TO REMEMBER AND SOMEONE DIDDLED WITH THE FONT SO I HAVE NO IDEA WHAT SIZE IS BEING SENT... I HAD COMPLAINTS IT WAS TOO SMALL. NOT SURE WHAT BUT WE WILL WORK ON IT. THE CHRSTMAS SEASON WAS CERTAINLY GOOD TO US-- YESTERDAY WE GOT THE TOWER OF HOPE GRANT TO SPONSOR 3 PARTENRSHIPS-- THAT IS AMAZING BECAUSE NEW YORK IS STILL SUFFERING FROM SANDY . I CAN WATCH THE SNOW MELT PATTERN ON THE ROOF AND TELL WHERE WE MISSED.. MEGAN TODAY MIGHT BE A GOOD DAY TO GET A GURENT PHOTO. THE CRANE TRCKS ARE HERE AND THEY WANT THE 2' TRENCH DUG ALREADY PAUL??? YOU ON YOUR WAY? CUTTING SHORT THE DAILY DOGGIE TO GO STAT THE TRENCH.. DARN.... THE TRACTOR IS HEATED... BUT TO OPERATE THE BACKHOE... IT IS OUTSIDE THE CAB.... I.E. COLD. Date: Saturday, January 11th, 2014 Place: Calitri’s Italian Restauarant 126 Newbury St., Route 1 South Danvers, Massachusetts Time: 5pm – 9 pm Please RSVP by January 2 to Kimberly Hurwitz: kimberlyhurwitz@yahoo.com Thank you for everything you do for SDP, all the dogs and their recipients. And thank you for hosting so many of us at the October Retreat. We wish you a wonderful evening!! HER HARNESS LOOKS RESPECTABLE-- A TYPICAL WORK HARNESS IN NEED OF SOME MURPHY'S AND WARM WATER..-- PROBbly in the kitchen- WHAT ELSE CAN HAPPEN IN THE KITCHEN THAT HAS NOT ALREADY HAPPENEND. AND THERE IS THAT HOOK IN THE MIDDLE. WE HAD 4 DRAFT HORSES ONCE- I HATE TO THINK OF HOW MUCH TIME I SPENT WITH HORSES WHEN IT SHOULD HAVE BEEN DOGS. OUR CAMERA PEOPLE HAVE A GRREAT PROJECT GOING OF ANNOUNCING WHERE YOU ARE FROM WHEN YOU COMMENT ONLINE I WILL OVE TO SEE THE DETAILS-- WHAT IS HERE NOW IS AMAZING. I just had to tell you how amazing Boris has behaved. My family and I went to The Red Lion Inn (extremely well known and historic hotel) for a very formal Christmas lunch. Everyone around us was dressed like a red carpet party and I feared that Boris was going to be uncooperative in the large dining hall. Luckily, the table had four legs instead of one in the middle like most restaurants. As soon as we got to our table, I directed him underneath and he immediately curled himself under. He stayed there for the entire hour and a half meal without any of the other 'new' customers noticing as they arrived to enjoy their dinner. When the bill had been paid, my fears once again grew, afraid that he would stand up and the entire table would flip over. But to my relief, Boris crawled out from under this table without any trouble, and the unsuspecting family beside us gasped in shock as this ginormous dog came out from under our table. It's not everyday you see a Great Dane appear out of thin air in such a high class place. Their expressions were truly priceless. The moment reminded me of when ten clowns all fit into the clown car and when they all got out, no one could believe how they were all able to fit inside. Everyone was so happy to have him there, as was I! I attached a photo to this email of Boris and I in front of the historic Red Lion Inn in Stockbridge, MA. He has made my Christmas day spectacular...all thanks to your wonderful organization! I know I always thank you, but words will never be enough to express how grateful I am for him. He completes me and gives me the freedom I thought I would never have! Merry Christmas! SHELIA HAS TO POINT OUT WE ARE RIGHT THERE WITH SOME ROACHES AND A GRAVESTONE. IT IS CREATIVE.... AND I WAS 4th OUT OF 444,341 PEOPLE WATCHING THE ROACHES ON CHRISTMAS MORNING-- WHERE OUR CAM I WAS 1 OF 212 OUT OF 6,244,510-- THAT IS NOT BAD FOR A CHRISTMAS MORNING. I HOPE SOMEONE WITH EXTRA TIME GOES THRU THE OTHER 24 TO SEE IF ANYONE HAS BETTER NUMBERS... MAYBE THAT COULD BE A MATTER OF PRIDE.. EVEN IF WE HAD TO COMPETE WITH THE ROACHES FOR THE TOP 25, I BET WE HAVE RECIEVED MORE FATTENING HOLIDAY FOOD THAT ANY OF THE OTHER 24 WEB CAMS.. THE 2 PACKAGES OF WICKED WHOOPIS ARE GONE.--- WHAT DID NOT GET EATEN GOT DONATED TO THE VOLUNTEERS WITH KIDS... HAD TO GET THEM OUT OF HERE... WE STILL HAVE TH E 10 POUND WHOOPIE IN THE FREEZER IN THE CELLAR. AS FOR NEW YERS RESOLUTIONS.... I AM STILL DEALING WITH LAST YEAR'S RESOLUTION TO LOOSE WEIGHT THIS YEAR-- AND I HAVE ONLY 6 DAYS LEFT TO DO SOMETHING ABOUT IT. THAT CAUSED THE TUESDAY TRIVIA TO BE HOW MANY COFFEE CUPS DIID WE USE UP LAST MONTH... FOR SOME UNKNOWN REASON WE KNOW THE NUMBER OF COFFEE CUPS PURCHASED LAST MONTH --- SO SUBTRACTING WHAT'S LEFT GIVE S US A PRETTY REAL NUMBER. ASPEN ARRIVES TODAY-- ASPEN BEING THE RESCUED WHITE MULE... THIS COULD BE A GOOD ONE-- I AM TOLD SHE WAS SOMEONE'S PET-- SHE LOOKS LIKE SHJE IS A DRAFT CROSS...PROBABLY PERCHERON--TO GET THE WHITE... MAYBE 1500 POUNDS FROM THE LOOK OF HER PICTURE-- THAT IS AS BIG- OR BIGGER THAN JANINE'S HORSE. BEFORE TOO MUCH WRONG INFO GETS OUT THERE... THIS I S A PERFECT TIME TO EXPLAIN THE REPRODUCTIVE LIFE OF A MULE..
MULES DO NOT COME FROM, PUTTING A BOY MULE WITH A GIRL MULE-- ALL YOU GET IS ACTION AND NO BABY MULE..
YOU NEED A BOY HORSE AND A GIRL DONKEY ( OR THE OTHER WAY ROUND) AS FOR SIZE YOU CAN HAVE A SMALL BOY PONY AND A MINI DONKEY AND YOU GET MINI MULE... THEY ARE NOT ALL HUGE... THESE HUGE WORK MULES ARE VERY PRIZED POSSESSIONS IN PLACES LIKE AFGHANISTAN - I AM NOT SURE YET IF THE WILL BE A PRIZED POSSESSION HERE... BUT WE CAN HAVE A GO AT IT. SHE DOES COME WITH WORK HARNESS-- BUT I AM NOT SURE IF SHE HAS ACTUALLY EVER BEEN "WORKED" i.e. DRAGGED ANYTHING BEHIND HER. THAT IS ANOTHER THING WE CAN FIGURE OUT. ALSO ... HOPEFULLY SHE WILL RENAME HERSELF-- BECAUSE ASPEN IS HER LAST NAME. AND THE PERSON WHO RESCED HER APOLOGIZED FOR NOT CLEANING THE HARNESS BEFORE GIVING IT TO US-- BUT HSE HURT HER BACK-- APPARENTLY WE NOW NEED TO CLEAN THAT.. THERE ARE PEOPLE WHO HAVE NEVER HAD THE JOY OF RUBBING LEATHER CLEAN.. WELL---- STAND UP TO THE PLATE... WE APPARENTLY ARE GOING TO HAVE SOME. KEEP THINKING NEXT YEARS CALENDAR-- THIS YEAR'S WILL BE EXTREMELY HARD TO BEAT. KRISTIN-- THE VEGITARIAN --IS GOING TO ROAST A CHICKEN FOR DINNER... NOT THAT SHE EATS CHICKEN-- BUT SHE LIKES THE SMELL OF ROASTING CHICKEN-- HOW LUCKY CAN WE GET?? THE EXCITEMENT OF THE NIGHT WAS DAVID 2 AND DUSTIN ARRIVED-- HE LOOKS TERRIFFIC--- SO DOES DAVID... AND WE SOLVED THE RACING WHEELCHAIR ORDERING PROBLEM... THERE WERE ALL SORTS OF SPECIAL ACCESSORIES-- A 14 ICH THIS AND A 16 INCH THAT KIND OF THING. DAVID HAS PLANS TO LEAVE HERE EARLY AND DRIVE TO ?NEBRASKA? WHERE IHS KIDS ARE-- HE SAID IT IS A 22 HOUR DRIVE... WHEREVER... S O I EXPECT HIM SHORTLY FOR COFFEE.. HE STAYED IN THE TRAINING ROOM.. THE OTHER EXCITEMENT WAS THAT PAM GOT HER SCHEDULE MIXED UP AND DID NOT SHOW FOR OVERNIGHT.. GRACE WAS HERE TIL ABOUT MIDNIGHT WHEN I GOT UP AND COVERED WITH KRISTEN.... ( A KENYON COLLEGE FRIEND.) I AM LOOKING FORWARD TO EARLENE -- PAUL-- AND THE REST OF THE VOLUNTEERS TO COME MANAGE THE PLACE SO I CAN FALL ASLEEP IN SOME CORNER.. THE FULL SIZE FURNACE SHOULD ALSO BE FIGURED TO HEAT THE AREA OF THE 2 STALLS CLOSEST TO THE AREAN WHICH WILL BECOME DOG TERRITORY. HORSES ARE GREAT MUD MAKERS... DEPOSIT VEGITATION .. THEN CHURN IT UP WITH THEIR POINTY HOOVES..
ONE HORSE CAN TURN A ONE ACRE GRASSY FIELD INTO ONE ACRE MUD IN 30 DAYS- ESPECIALLY IN MARCH- APRIL. HAVING THE GATE BETWEEN THE 2 FIELDS ON THE HILLSIDE WILL IMPROVE THE ENTIRE SITUATION. YESTERDAY'S MAILCALL BROUGHT ONE OF THOSE TICKET CHURNING THINGS FOR RAFFLE RUNNING-- AND 2 ROLLS OF TICKETS.. I AMJ NOT SURE WHAT WE ARE TO RAFFLE OFF BUT I AM SURE THE CP'S HAVE IT ALL FIGURED OUT.. SO ANYONE FEEDING PLEAS HAVE A LOOK AT WHO-- AND WHAT THEY LOOK LIKE ----- OPAL WAS OFFERED TWICE WHAT SHE NEEDED LAST NIGHT... SO THINK !!! she has never caused blood with her " mouthing " people... but she has been getting more and more decisive.... and "please don't do that " was not working.. now a crinkle of a water bottle and she is under perfect control. she is the one dog on the property that has this problem-- i attribute it to her permissive parents .. earlene and paul just love her too much..
basically -- tiffany-- perfect dog-- even better than bailey--- 100,000's of people patted her at boston events harborfests etc..
but one little 12 year old girl at the pru tower --- tiffany fortunately came to me growling and looking at her--- wanted to kill her... i hung on and got thru that... tiff went back to being perfect--- next year --same kid-- same reaction.... i have no idea why... nice little girl as far as i could tell..
well chaos just had to have a lesson in tooth management. we had a great meal thanks to iheart ( cp from hawaii) she sent a full meall-- actully we ate 1/2 what she sent- and still havae another meal inthe freezer. i found my client's tail-- animalepisodes jobs we did... i will try and copy it here. LEAVING ME TO ARGUE THAT HE IS HINDERED BY AN EDUCATION WHICH WE ALL KNOW ELIMINATES CREATIVE THINKING. BOO -- 99.4% WHITE ---NOW 11 WEEKS OLD- AS OF LAST WEEK.....WE WONDERED IF SHE CAN HEAR -- THERE WAS NO CLEAR INDICATION ONE WAY OR ANOTHER.. AND I EVEN TESTED WITH MY COLLECTIOON OF DOG WHISTLES -- SOME THE SILENT KIND .. WELL NOW THERE IS NO QUESTION.. SHE CAN---- WHICH MEANS THERE HAS BEEN AN CHANGE IN HER STATUS. THE DIFFERENCE IS THAT ... SHE HAS SPEND 2 DAYS IN THE HOUSE WITHOUT HER SIBLINGS SO SHE HAS UNDIVIDED ATTENTION AND IS LOVIN IT!! SHE ALSO HAS HAD HER EARS CROPPED AND THEY ARE STANDING "ALERT" WITH THE CRAZY HELMET I MAKE TO STAND THEIR EARS. I AM SO CERTAIN THAT SHE IS HEARING BETTER THAT I WENT TO THE COMMENTS ON THE CAMERA SITE AND TOLD THE CAMERA PEOPLE I WAS GOING TO TEST HER HEARING.. I SHOWED BOO SOUND ASLEEP AND THEN I QUIETLY CALLED HER--.. SHE IMMEDIATELY WOKE UP AND CAME TO ME. THAT WAS TOTALLY NEW. Noun 1. double-blind study - an experimental procedure in which neither the subjects of the experiment nor the persons administering the experiment know the critical aspects of the experiment; "a double-blind procedure is used to guard against both experimenter bias and placebo effects"
FACT REMAINS HAVE A NEARLY PURE WHITE DOG WHO SEEMS TO NOW HEAR PERFECTLY. WE DO NOT THINK ARIOT CAN HEAR-- AS TO GET A REACTION WE HAVE TO JUMP ON THE FLOOR TO MAKE A VIBRATION. P.S. THERE IS A HEARING TEST ?A BAER TEST? I HAD THAT GIVEN TO MY FIRST WHITE DANE--- THE TUFT'S $500 CHARGE GOT ME A PIECE OF PAPER WITH SQUIGGLY LINES ON IT.. AND MADE NO DIFFERENCE IN THE DOG. Thank you so much for you continued advice and support. I have needed Elsie's help multiple times in the last six weeks, but nothing like his morning. I got up, and too far from my bed to turn around, my legs gave out. My whole body was suddenly went VERY weak. My girl went into high gear. Without a word from me, she firmly pushed me against the opposite wall and led me to the closest seat. The last few feet were not against the wall and I was going to do to what I've done before Elsie, lower myself to the floor and wait for help. However, thanks to SDP, ELSIE gently walked on. She seemed to brace and walk at the same time. She safely let me lean all my upper body weight on her on brought me to the seat. I fell into the chair. Then I got a nose nuzzle. Thank you to everyone who who prepared Elsie to save me from a bad fall. P.S. On this date last year, I fell and broke 3 bones in my ankle, had surgery and couldn't walk independently until early April. Have I said what a blessing Elsie is to me? In hopes that their leader soon would be there. They ran to the porch to see what was the matter. But a brand new tractor, and eight dane reindeer. They knew in a moment it must be Carlene. “Now Bailey. Now Opal. Now Walter and Magnus. On Bentley. On Bumpy. On Oscar and Chaos. To the front of the Tipi! To the top of the Hill! The prancing and dancing of each massive paw. Down the chimney Carlene came with a bound. And her sneakers were tarnished with ashes and soot. And she looked like a peddler just opening her sack. And they laughed when they saw her in spite of it all. Let the Pippins know, where their leader was at. And filled all the dog bowls; then turned with a smirk. Gave a quiet nod, and up the chimney she rose. And away they all flew, like a heat-seeking missile. “Happy Christmas to all, and to all…. IT IS NOT THE WALLS THAT ARE CLOSING IN ON ME-- IT IS THE %&&*_ ON MY DESK WHIVCH HAAVE NOT EVEN LEFT ME A PPATH TO THE KEYBOARD. WE GOT MORE ENVELOPES FROM THE STUDENTS IN RENO REALLY CUTE IDEA... THEY APPARENTLY WATCH THE PUPS ONLINE AND CUT A 3X6... DECORATED THEM... AND SENT ONE WITH A $1 BILLIN A PINK ENVELOPE-- MUST HAVE HAD 30 PINK ENVELOPES... LOVE IT!! AND THEN andover----THE DAY DIDA AND I WERE HUDDLED -- IN THE FREEZING COLD BEHIND A FEW BALES OF HAY WHILE BEING "SANTA'S FARM DISPLAY, AND SOMEONE CALLED THE POLICE THINKING WE WERE HOMELESS..
THOSE SKI MOBILE SUITS GOT LOTS OF USE IN DECEMBERS FOR THE PAST 20 YEARS-- THAT IS WHY THE HEATED TRACTOR IS SUCH A DELIGHT.. TAKES THE STING OUT OF WINTER. DAVID-- WE NEED YOUR HELP--- I KNOW I IS A TOUGH TIME... WE ARE HERE.